Uses and Markets: Culinary: Grain amaranth is used in products such as cereal, crackers, bread and other baked goods. 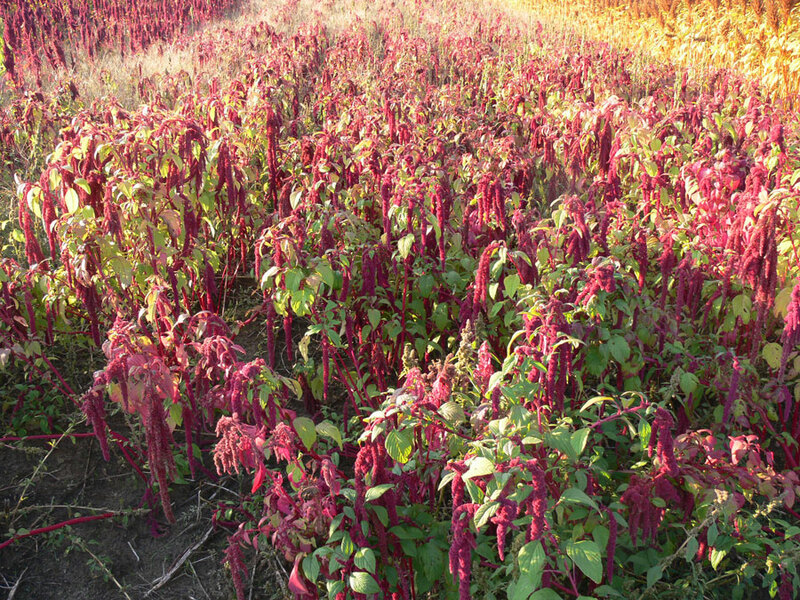 Grain amaranth is also commonly used as a forage crop in tropical countries. 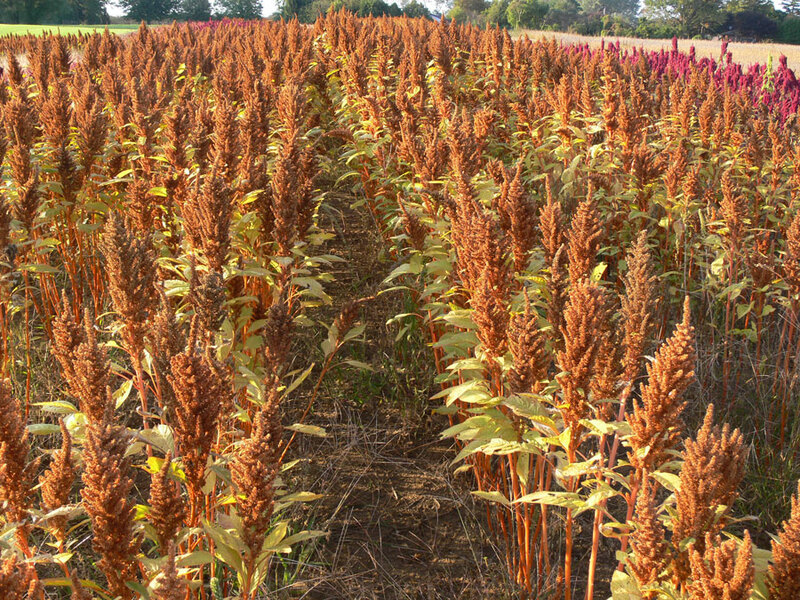 Amaranth grain is gaining popularity in North America, but grain amaranth markets remain small and fragile. Availability of seed for commercial scale plantings may be limited. Early season weed control is critical for obtaining good seed yields. Mid May to mid June. 10 cm (grain yield is not affected by seeding rate due to amaranth’s ability to compensate for in-row planting density). No current Ontario fertility recommendations exist. Research and recommendations from outside Ontario do not necessarily apply to Ontario growing conditions. 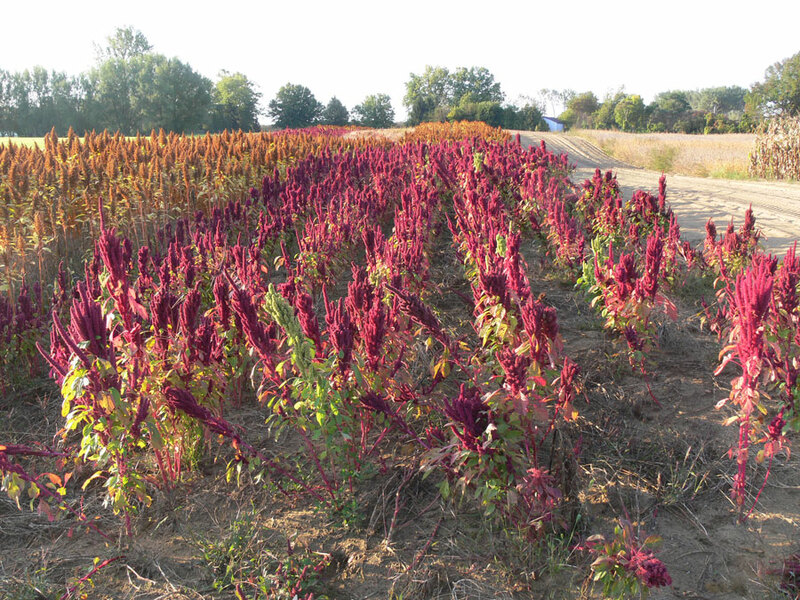 Research from the U.S. indicates maximum amaranth yields can be obtained with 90 kg N/ha, but different varieties respond. Excessive nitrogen fertilization can lead to increased plant height and lodging, both of which negatively affect harvestability. Click here for phosphorus and potassium application guidelines and for more information on specialty crop fertility. Well-drained soils. Loose soils high in organic matter. Avoid heavy clay soils. Grain amaranth is drought-tolerant, but irrigation immediately after planting may be beneficial. Amaranth grain is very small. Appropriately sized screens will be required on the combine used for harvesting. No established grades. Quality is determined by the market. Proper planting density will ensure grain heads do not become too large. Large seed heads do not dry properly making them difficult to combine. 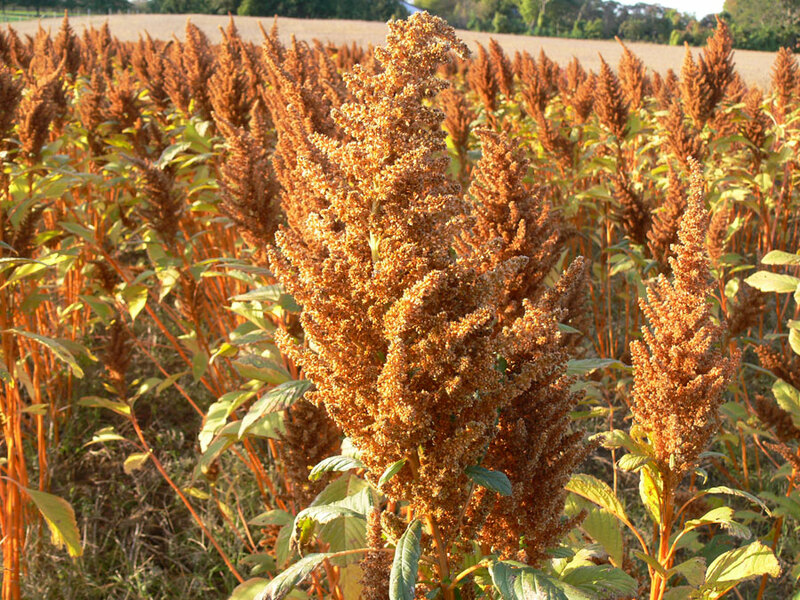 A killing frost aids with crop drying, but grain amaranth should be harvested within 10 days after the frost kill. Row headers perform better than reel headers. Clean seeds before drying seed to 8% moisture for storage. To date the following pests have been the most significant in Ontario: leaf and stem bligh (Phomopsis amaranthicola), tarnished plant bug. Grain amaranth can tolerate considerable leaf feeding before yields are affected, however tarnished plant bug may be more of a problem because it feeds on flowers and seeds. The impact of fungal diseases of leaves and stems on grain yields is not known for Ontario. 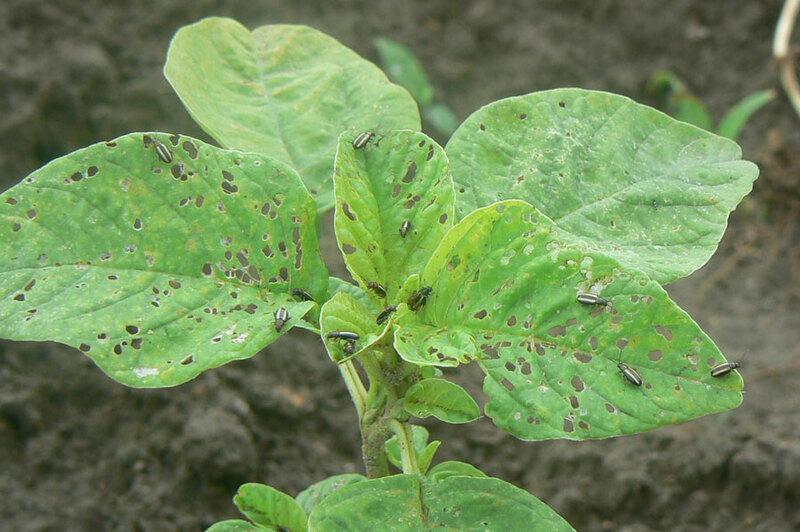 Varieties can differ significantly in susceptibility to pests. This crop is susceptible to many of the same pests as pigweed. 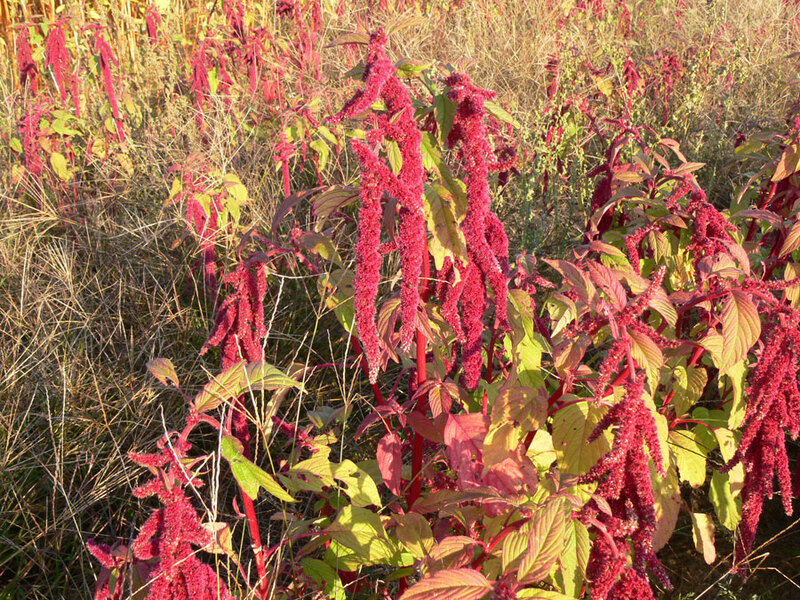 Weed pressure is a major concern in production of this crop, particularly for young, establishing plants because amaranth is small-seeded and slow to germinate. Since few to no herbicides are registered on this crop in Ontario, frequent cultivation, hand-hoeing or mulches (where applicable) will be required, especially during crop establishment. 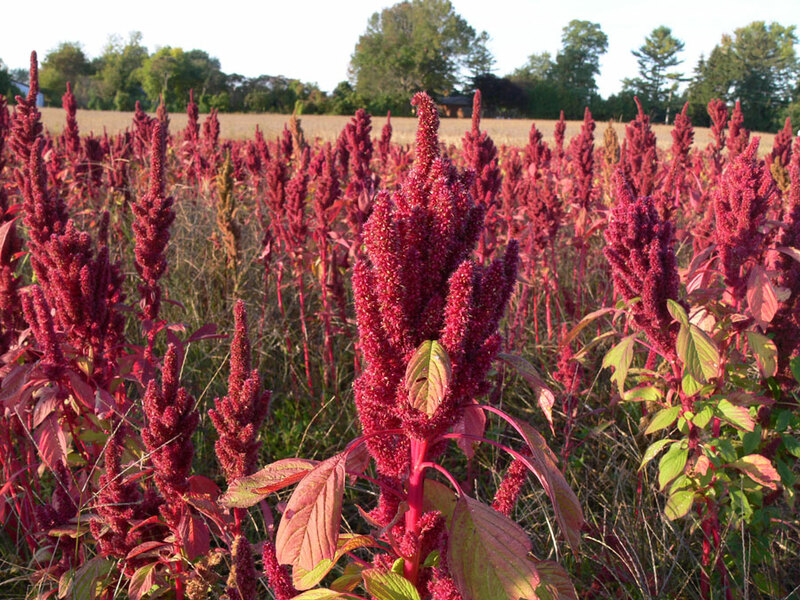 Amaranth grown for grain production is not in a crop group. For more information on Crop Groups, refer to the Pest section. 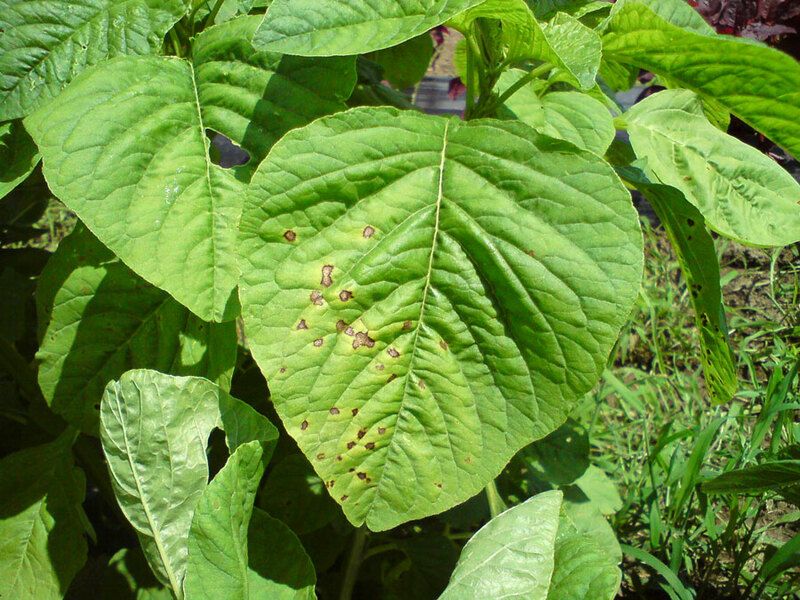 Pesticides registered for use on leafy amaranth may not be used on grain amaranth. 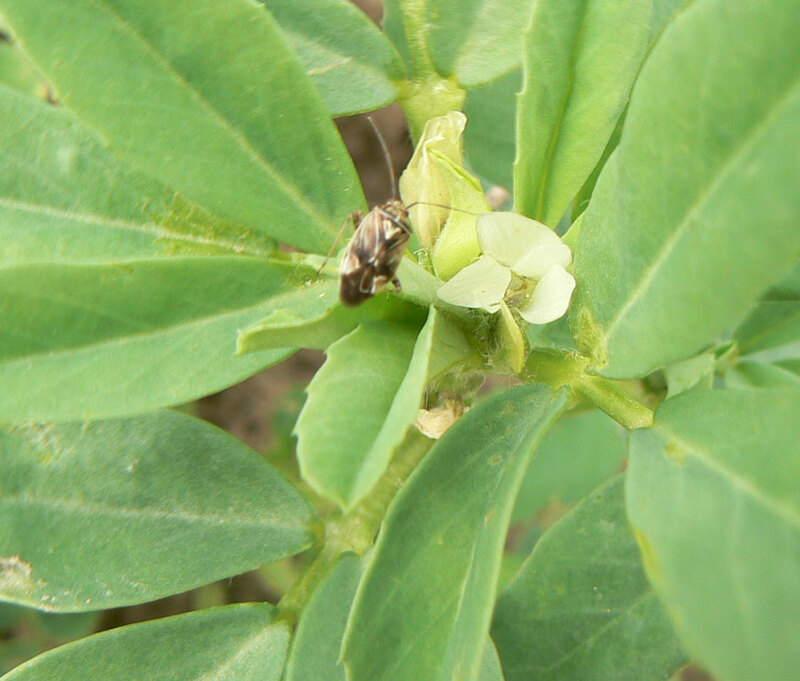 There are few to no pest control products registered for use on this crop in Ontario. Always refer to product labels, and follow all directions specified on the label, before applying any pest control product. For more information, consult an OMAFRA specialist. Elford, E.M.A., Todd, J., Draves, J., and N. Betts. 2011. Sand Plains Super Foods 4 Health. Sand Plains Community Development Fund, unpublished. Putnam, D.H., E.S. Oplinger, J.D. Doll and E.M. Schulte. 1989. Amaranth. In: Alternative Field Crops Manual. University of Wisconsin Cooperative Extension Service. Madison, WI. Stallknecht, G.F. and J.R. Schulz-Schaeffer. 1993. Amaranth Rediscovered. P 211-218. In: J. Janick and J.E. Simon (eds. ), New Crops. Wiley, New York.